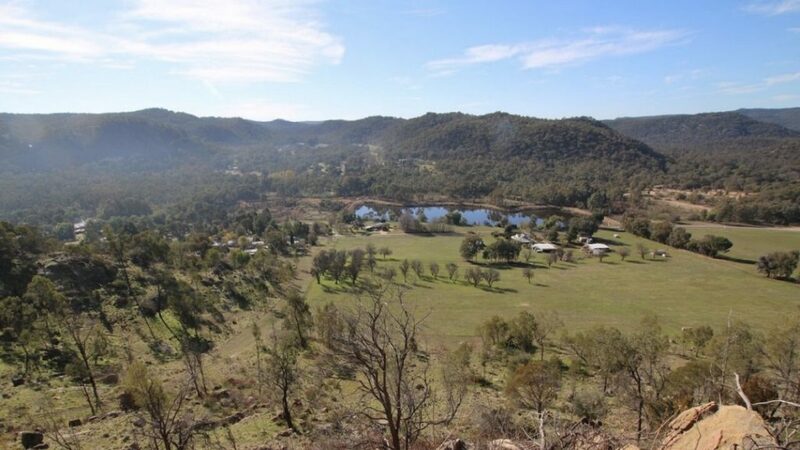 Location: The township of Eldorado is situated approximately half way between Wangaratta and Beechworth. Map: Kangaroo Crossing 1:15000, 5m contours. Legend: There is no legend on the map but we have one as course setter. Terrain: Kangaroo Crossing is amongst some the finest orienteering terrain in the world. Introduced as a model area for WOC85, the map has never been used for a major championship truly worthy of the terrain quality, until now! The map signature is legendary. On a wet day the forest shines the most, the area is covered in magical native pines that restrict visibility and running with granite of almost perfect orienteering proportions. On a dry day it can be scratchy at arm and face level. Protective eyewear is recommended. Highly rewarding for attentive navigators yet with great physical returns for the fittest amongst us. Good under foot, few tracks, areas of low visibility, highly detailed areas, technical steep slopes in part, fast running and so much more. Directions: From Wangaratta – Travel towards Beechworth on B500 and turn left to Eldorado 5km past Tarrawingee. From Beechworth – Travel about 15km towards Wangaratta on C315 and turn right to Eldorado. From the North – Turn left off the M31 freeway 5km south of Springhurst along Carracamungee Rd and after 7km turn left to Eldorado. We plan to have parking next to the Assembly area but will use forest tracks and more distant parking if it is very wet. Registration: will be open from 9am. EOD registration closure time TBC. Assembly Area: A large open paddock with an amphitheatre arena. All facilities within 200 metres of parking area. All competitors will be visible entering the last control area. Elite courses will be highly visible with commentary of comparative navigation and route choice options adding to an interesting spectator event. Courses: Courses are being structured to achieve long distance winning times based on M21E of about 80-90 minutes. Presentations for this event will be in Beechworth before a planned social evening and meal still being organised on Saturday evening.